Human studies suggest that supplementary enzymes may improve digestion and help minimize post-meal glucose surges. Since proteins, plant fibers, and fats are broken down differently, one needs the proper spectrum of enzymes for optimal digestion. A new multi-enzyme formula facilitates both optimal nutrient absorption and broad relief from digestive discomforts without promoting after-meal glucose surges. 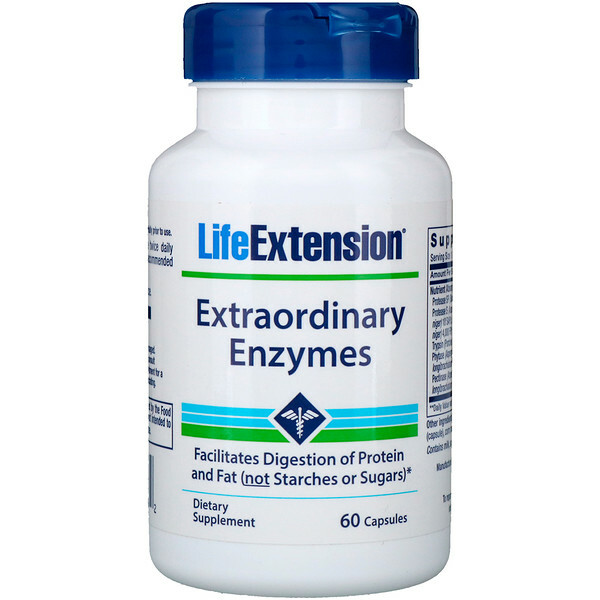 Extraordinary Enzymes provides a potent array of protease, cellulase, and lipase enzymes specially formulated to adapt to a variety of stomach acid pH conditions and powerfully support digestion. With a total of twelve different enzymes, this unique formula supports the digestion of just about any food that may pose a problem for you—whether a protein, fiber, or fat. Extraordinary Enzymes provides a blend of powerful enzymes to help your system convert a variety of foods to energy and readily absorb the nutrients in the foods you consume. This formulation may enhance protein content in your body and allow for better fat utilization. Together, these enzymes work by an all-natural, synergistic process to help provide nutritional support for a healthy digestive system. 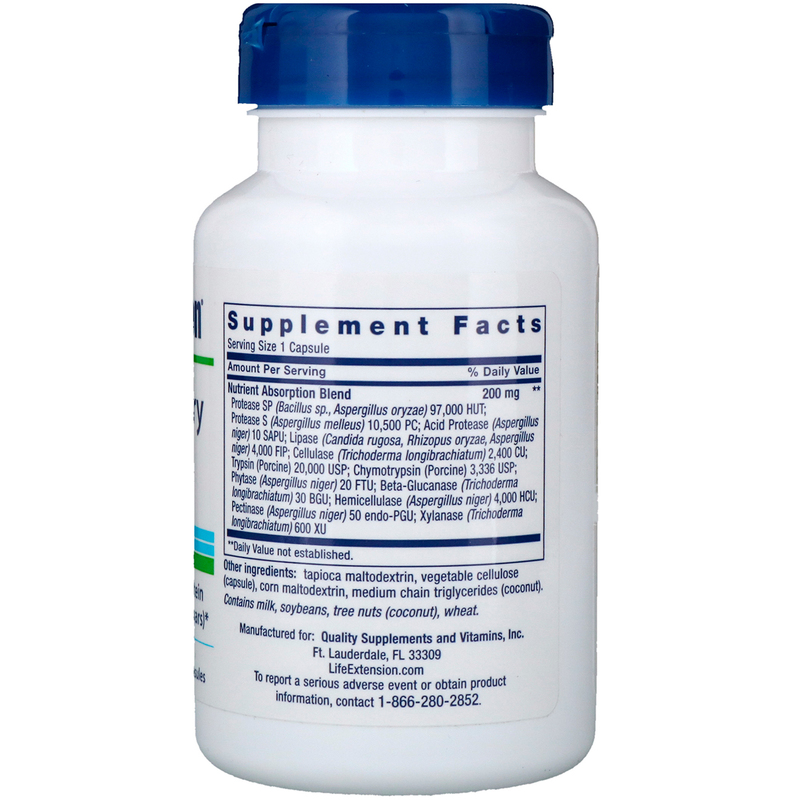 Unlike commercial digestive enzyme supplements, amylase is intentionally left out of Extraordinary Enzymes. The reason is that amylase breaks down starches into glucose that is rapidly absorbed into the bloodstream. Extraordinary Enzymes facilitates the healthy break­down of plant fibers that cause people to avoid healthy vegetables because of digestive discomforts. Most people will take one capsule before the two heaviest meals, which provides 400 mg of natural digestive enzymes each day. Tapioca, maltodextrin, vegetable cellulose (capsule), corn maltodextrin, medium chain triglycerides (coconut). Contains milk, soybeans, tree nuts (coconut), wheat.